Country land without water - a littledesert. No break flowerbed or swimming pool equip or other usual and just needed to man the benefits of civilization, related to water. The yield in this situation can only be one - the well in the country with their own hands or under the order. It all depends on whether you have the money and the desire to work. If the energy and enthusiasm fully, such a troublesome task as well the device in the country, will help you on the shoulder. Let's look at what can generally be well and what is the difference between them. 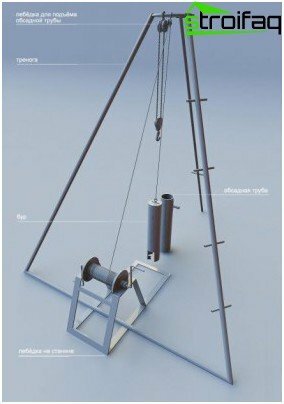 How to drill a well in the country? What needs to be home drillers? This pile borehole or well-needle, whichYou can drill yourself. Good it is for the area in which the aquifer at the depth of 3-12 m. It is important that close (within a radius of 30 m from the well) did not have septic tanks, cesspools, septic tanks, landfills, and other polluting sources. For such a well needed pipe Hammerfilter borer, grandmother with podbabkom, clamp. Is drilled in the yard, and in the basement of the house. Then you can enjoy the water even in the winter. And if the output and put a hand pump and column, it is possible to provide themselves with water, even in moments of lack of electricity. 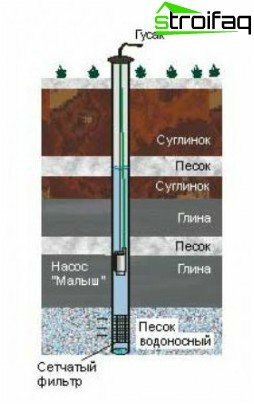 Such a well is drilled for water extraction fromsandy aquifer, which is usually found at a depth of 50 m. Volume of produced water is enough for a single plot. However, the water quality should be checked periodically. It is also important, and the above rulenecessary distance from the borehole sources of groundwater contamination. Filter for purifying crude water, located at the lowest part of the well must be cleaned regularly. The service life of such wells - 10-15 years. In areas where limestone is presentformation, possible to extract water from it. The presence of this layer can be found either at the neighbors (whether there are artesian wells in the neighborhood? 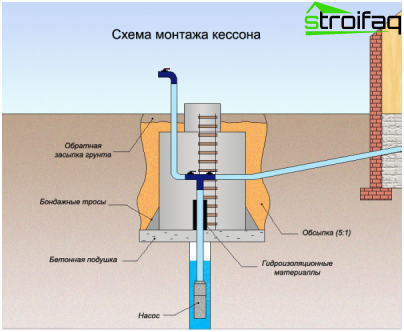 ), Or to order an experimental well by specialists. Self-drill a well does not work, because the depth of the water-bearing limestone formation -. Order 30-200 m corresponding works from the experts - it is quite expensive. 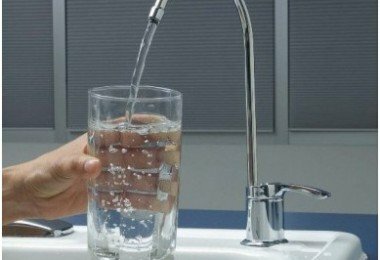 But providing on your site similar to the water supply, you can be sure that your children, grandchildren, and problems with the water will not. For pumping water from this well you will need a metal tank the caisson, which set the pump and accumulator. 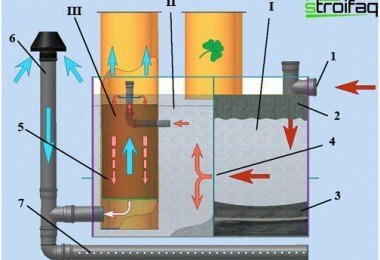 In the underground pipes can hold the water in the house. Savings will be possible, if the drilling of wells in the country to raise funds from several suburban areas. Then water supply in the country from the well will be not a dream but a reality. To ensure the water area you need to decide,what volumes of water (debit) interest you. If this is about 10 cubic meters. per hour, it can not do without an artesian well. If it is 1-1.5 cubic meters. per hour, you can stay at the Abyssinian wells and sand well. The more that they can drill and independently. For information on how to do well in the country, and will be further discussed. A place for well choose not too remote from the house -. Not more than 3 meters and then it will be easier to build water supply. If you were already on site sand wells, the new need to drilling out of old ones. In the space reserved for the well, pull outhole, the so-called hole, the size of which 1,5h1,5 m. To prevent obsypaniya wall sheathe their boards or plywood. Install rig (tripod). You can use ready-made, but you can make yourself three logs with a diameter of 15-20 cm. The attachment point of logs fixed winch. drilling column can consist of three, four or more meter rods fastened thread (clutch) in one pipe and equipped with clamps for tripping. 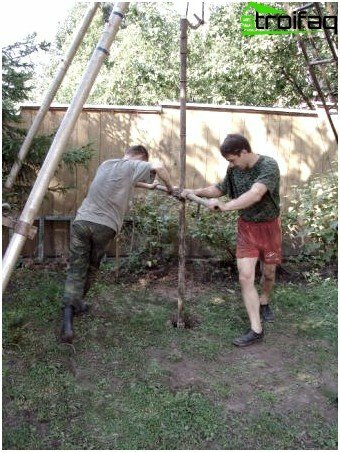 If the well is planned to shallow, you can do half meter rods without using a tripod. The diameter of the core barrel depends on the diameter of the pump of the future. The gap between them should be not less than 5 mm. 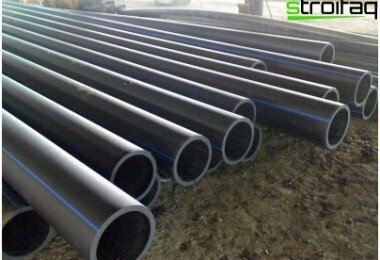 The most suitable pipe diameter 114 - 219 mm. Drilling wells is carried outrotary-impact way. 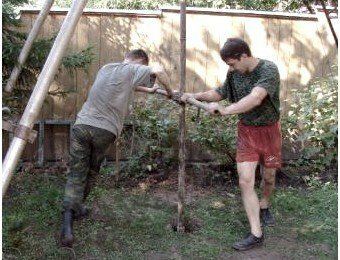 To drill the well, we need the efforts of two people, which will turn the post. Stange turns pipe (gas) key one person, and the second hitting the hammer at the bar, knocking the rock. An even more effective way: two scroll bar, and two with the help of winches raise and lower it into the hole, punching breed. At the very bar you need to put the mark. It has 50-60 cm drill and to pull clear of the ground. Drilling - the process by all depends on the breed. Therefore, the drilling should be used, and different types of drills. On reaching the water-containing formation will indicate the presence of moisture is removed from the well formation. When you reach the appropriate level of the well water is purified bailer and wash the pump from sand and solids. Well equipped with a filter column,and a filter consisting of a casing. The filter is made from a casing by winding the filter mesh perforation. Is pumped through the casing and washed with water filter. The pump is pre-selected. After all, its size should match the diameter of the casing. Also, when selecting a pump well is important to consider debit water depth on the pump load, which depends on the depth of the well itself and its distance from home. If the depth of the well over 9 m, the well pump is used if less - is a superficial, self-priming. 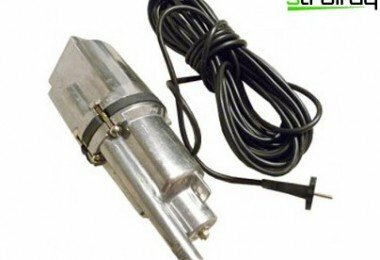 The submersible pump is lowered into the wellattached to a safety cable or pipe. To pump attached cable that should be waterproof and water lifting tube (or hose). 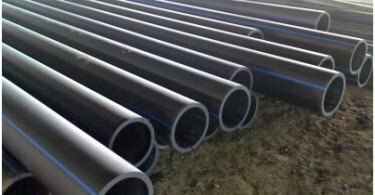 The diameter of such pipes can be 25, 40, 50 mm, depending on the debit wells. The pipe is displayed at the wellhead and is hermetically welded to the end walls of the caisson. Water flow is regulated by a valve, which is mounted on a pipe. Caisson with sides covered with earth. To get to the hole is now possible only through a hatch in the ground. From the caisson trench for the water carried into the house. How to clean the well in the country? Long well operation results over timeits clogging. How do we know this? From the tap! Water flow is reduced, water comes out with air, jerky impurities present in the water, sludge and sand. If this time is not well, "treat", you have to dig a new one. How clean the wells? There are several. With the air compressor. On the tube wells create a vacuum tube. She is joined by a compressor and purged them well under high pressure. This method is good for treatment of sludge. If, however, in addition to mud contains iron and lime deposits, the purge will be ineffective. Using water compressor. The well was washed under strong pressure of water. Effectively it is only against the mud and sand. Revolutionary method may be called explosionby short-circuit. For this purpose, the cord is separated (2), a threaded plug (5), bare wires and connect them to move apart thin thread of copper (2). 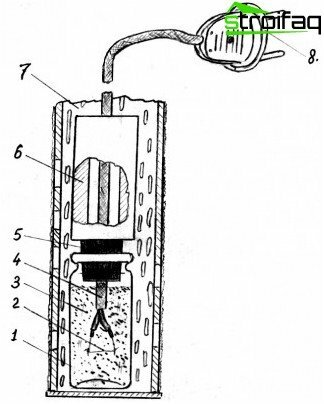 This device is inserted into the bottle of medication (4), filled with its black powder (3) and sealed with a stopper. 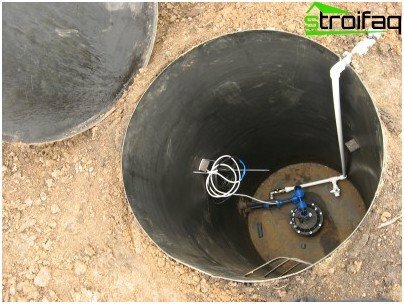 This device is lowered onto the bottom of the borehole (1) by attaching sinker. As the weights you can use a piece of lead or steel pipe. Further, the plug (8) from the cord, connected to the 220V network and immediately shut down. As well an explosion. It is safer to carry out similar experiments with half-full vial twice. If the water goes, and then we can stay, if not, then have full use vial. Using acid. Once the well is purged compressor acid is poured into it. The method is very dangerous, so a person needs as much as possible to protect the face, eyes, wear a respirator. Since the acid is now the day the fire will not find, people use prilovchilis acid Battery. Once the wellbore was poured acid zakuporte it for a few days. After a time, again armed with protective equipment, remove the plug. By attaching a pump pumped water for 7 hours. After this procedure, you can drink it only after a month, and if earlier - then only after additional filtering. As you can see, the shortcomings in the self-purificationwells weight. 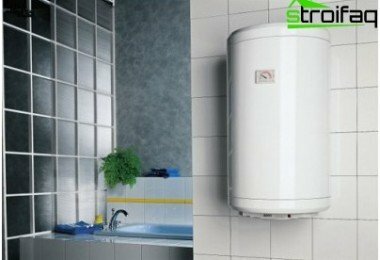 Therefore, in order and well maintained, and most of its clean, use the services of professionals. Otherwise, you can use instead of harm and inexperience destroy the pipe. "Miser pays twice", - says the proverb. It is better to once every 10 years to pay professionals to clean and repair wells than to dig a new one.